Our largest and most powerful sandwich maker with capacity to toast four sandwiches and grill a wealth of other foods too. Convenient, quick and easy to use, there's so much you can do with the white Kenwood Sandwich Maker SM740. It is our largest and most powerful sandwich maker with a 1300W heating element and capacity for four rounds of sandwiches / eight slices. From tasty cheese toasties, sandwich melts and panini, experiment with different fillings for your perfect toasted sandwich. Grill vegetables and kebabs for healthy nutritious meals. Make sweet snacks and desserts such as pancakes and fruit turnovers. And for savoury snacks and meals try omelettes, calzones and crispy burritos. 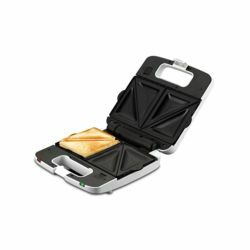 The Kenwood SM740 Sandwich Maker comes with two sets of removable cooking plates - triangle sandwich plates and grill / griddle plates - designed to toast, grill and griddle a variety of foods. When in use as a griddle, it opens flat for ease of cooking and includes two oil drip trays. 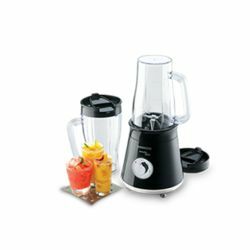 And ergonomically-designed carrying handles make the Kenwood Sandwich Maker SM740 easy to move and store in the kitchen. 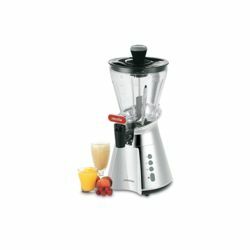 Our largest and most powerful sandwich maker with capacity to toast four sandwiches and grill a wealth of other foods too.About the Kenwood Sandwich Maker SM740:Convenient, quick and easy to use, there's so much you can do with the white Kenwood Sandwich Maker SM740. 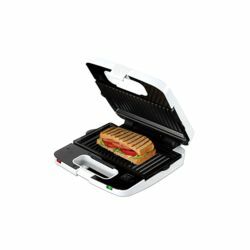 It is our largest and most powerful sandwich maker with a 1300W heating element and capacity for four rounds of sandwiches / eight slices.From tasty cheese toasties, sandwich melts and panini, experiment with different fillings for your perfect toasted sandwich. Grill vegetables and kebabs for healthy nutritious meals. Make sweet snacks and desserts such as pancakes and fruit turnovers. And for savoury snacks and meals try omelettes, calzones and crispy burritos.VersatilityThe Kenwood SM740 Sandwich Maker comes with two sets of removable cooking plates - triangle sandwich plates and grill / griddle plates - designed to toast, grill and griddle a variety of foods.The plates are non-stick coated so that food can easily be served and for easy cleaning. 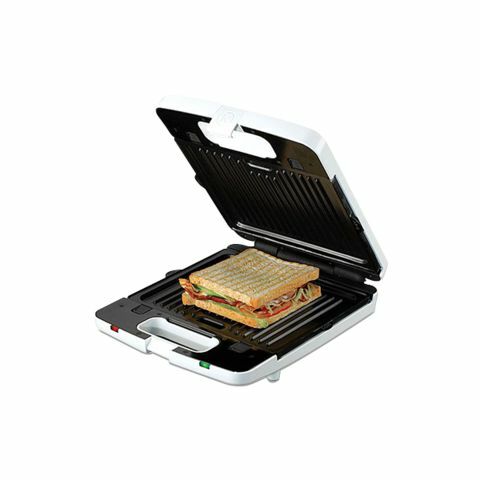 There are plate release catches and the plates have handles on each side for better handling.SimplicityA safety latch ensures the sandwich toaster remains closed when in use and rubberised feet ensure it stays in one place.When in use as a griddle, it opens flat for ease of cooking and includes two oil drip trays.There are 'on / off' and 'ready' neon indicators to show the power state of the sandwich maker and when it is ready to start cooking.And ergonomically-designed carrying handles make the Kenwood Sandwich Maker SM740 easy to move and store in the kitchen.